Coconut oil. At this point, we all have a jar in our pantry and have probably tested at least a few of its many “miracle” uses. From whitening our teeth to helping us cook a little healthier, coconut oil is, some would say, the trendiest and most versatile oil to have. The most popular use for it, however, is on the skin. Touted for its affordability and efficacy in cleansing and hydrating the skin, coconut oil is a natural and simple ingredient we find ourselves using constantly. But conflicting reports have us wondering whether the super oil really is compatible with our skin. Though devotees praise coconut oil for its many benefits, others warn against its tendency to actually clog pores (it is considered to be moderately comedogenic and could encourage the formation of blackheads). Given these polarizing views, we were anxious about continuing to use this seemingly simple ingredient on our precious skin. We contacted Anthony Youn, MD, America’s Holistic Plastic Surgeon, and Carl Thornfeldt, MD, founder of Epionce Skincare, to ease our fears of congested pores and to get the facts straight. Learn more about what these expert dermatologists had to say on the subject. Let’s start with the basics: Is coconut oil a good choice when choosing a makeup remover? We’re happy to report that the answer is a resounding yes. Both Youn and Thornfeldt agree that coconut oil is not only safe to use when cleansing your face, but it’s also quite effective and offers numerous benefits to your skin. “Coconut oil is anti-bacterial, anti-yeast, and also works as a great first-aid cream. Because of its detergent effect, it works well as a makeup remover,” explains Thornfeldt. However, it is important to only use the coconut oil as you would use a cleansing oil—no abrasive washcloths or cotton pads are needed. Simply liquify the coconut oil in your hands when it’s in its natural solid state, and gently rub onto dry skin, paying special attention to heavy eye makeup. Once your makeup has been sufficiently melted away, rinse face with warm water and pat dry. But the question on most of our minds is whether this miraculous oil will clog our pores. There’s still some stigma attached to the idea of applying an oil to your skin, and there are often varying reports on whether coconut oil is comedogenic or not. Youn and Thornfeldt both agree that there is a chance that coconut oil could clog pores. “Ideally, it should be organic and minimally processed,” says Youn. The quality of your coconut oil is imperative to the benefits it can have for your skin. 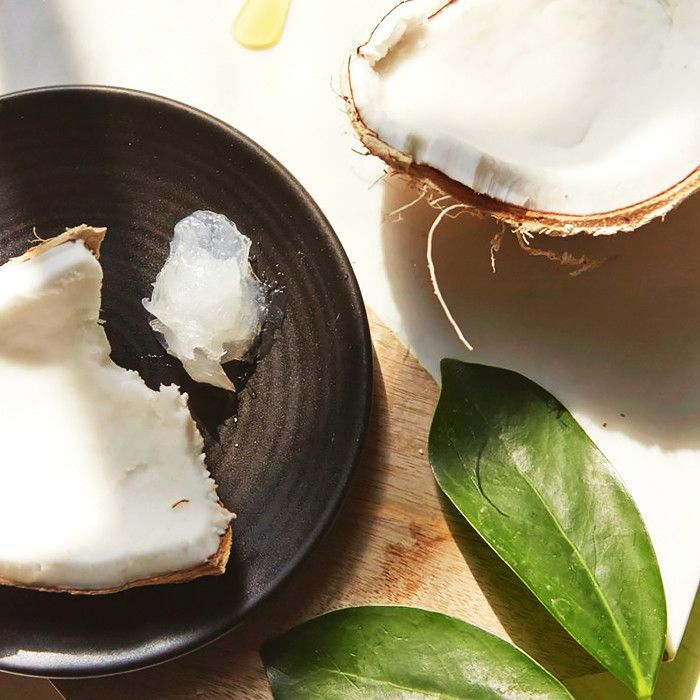 Thornfeldt explains that, since the ingredient does have some saturated fatty acids in it, a lower-quality coconut oil might be contaminated or poorly purified, which could lead to a dreaded breakout. 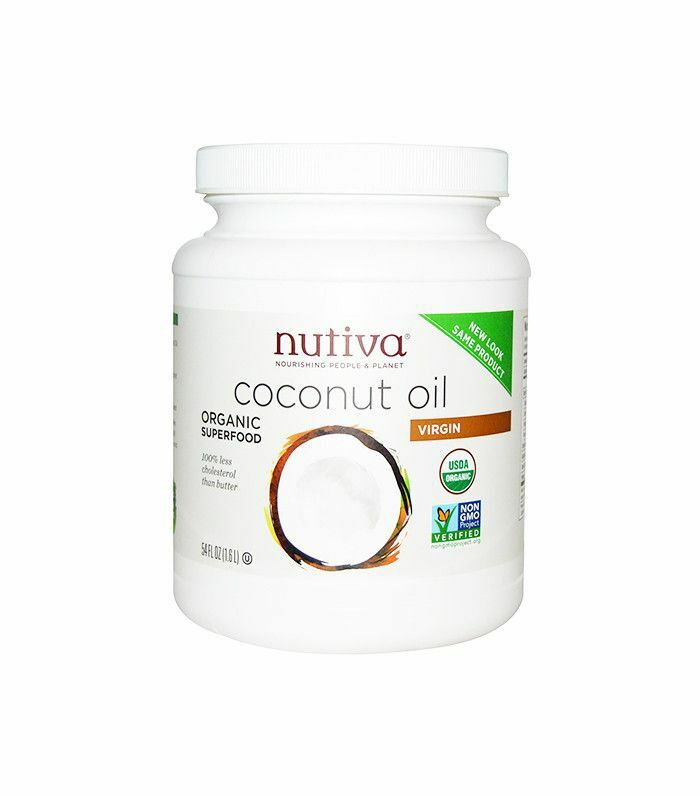 “I recommend that you only use purified, cold-pressed coconut oil in liquid form,” he says. Cold-pressed and purified? Coconut oil is starting to sound more and more like an expensive juice. We asked Thornfeldt to clarify what exactly a cold-pressed coconut oil offers that is so much better than a regular coconut oil. “Usual manufacturing is that they extract oils with chemicals that can bind with active ingredients,” he explained. “The solvent agents can bind to the lipids in the coconut oil, meaning that toxins could then be absorbed by the skin when applied. Cold-pressed doesn’t have toxins in the process that would impact the skin.” He recommends trying this one, which is also high quality and will have less chance of being comedogenic. Coconut oil, however, may not be the cure-all we have come to know it as. Both Youn and Thornfeldt believe in the coconut oil craze but have some reservations about it. For Youn, users need to take care and use caution when integrating coconut oil into their skincare routine. Not all skin types are compatible with the oil, so introducing a little at a time will help keep possible breakouts at bay. Youn advocates for the science behind the ingredient, touting its anti-bacterial and anti-yeast characteristics, and appreciates that it is a great option for sensitive skin. But Thornfeldt warns that coconut oil should not be your be-all and end-all skin product. Coconut oil will not moisturize skin and is unable to provide proteins to protect the skin barrier or cater to all three barrier lipid groups. So what’s the takeaway on coconut oil? It’s safe to use as a makeup remover, but only if it is organic, unrefined, and cold-pressed. Looking for these three keywords on the label will help minimize the chances of skin congestion and maximize the efficacy of the oil’s benefits. Coconut oil may not be the holy grail of natural products, but it can definitely be a powerful one when used correctly. Do you use coconut oil as a makeup remover? Let us know in the comments!